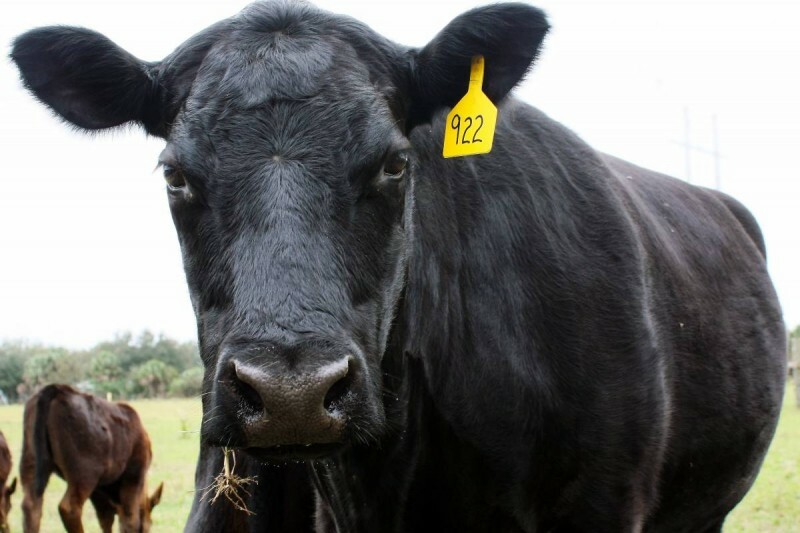 Are you looking to learn more about cattle feed? Feeding cattle is an involved process and you can approach it in several different ways. Some feeds are designed to be eaten in addition to a foraging diet serving as additional nutrition. Other feeds are a complete meal and can serve as a full dietary replacement for cattle. In addition, to feed, you also have to consider nutritional supplements which add vitamins and minerals to your cattle’s diet improving health and fulfilling specific nutritional requirements. Cattle feed formulation is quite involved and can vary greatly depending not only on nutritional needs but also the type of cattle you have. For example, if you raise cattle in a humid environment foraging may be viable for most of the year reducing feed usage to dietary supplementation. By comparison, a more harsh environment may require a feed that serves you cattle’s primary diet for parts of the year. A healthy diet has several different factors to consider. What to feed your cattle can vary greatly depending on their dietary habits and in many cases you can supplement a simple foraging based diet. Depending on the location cattle can forage for grass, hay, straw, or silage which can easily make up the majority of their diet. However, in some cases, cattle feed such as pellets, blocks, or a mix of grains and pellets (sweet feed) may be required to meet basic dietary needs. Feed for livestock is precisely labeled for fat, fiber, and protein content. This can vary greatly due to different nutritional needs. Note that this isn’t just per species but also by type. Different types of cattle have different nutritional needs (such as beef cattle vs dairy cattle). In situations where foraging is making up the majority of your cattle's diet outside supplements are still required. These supplements include salt and needed nutrition that further improve your cattle’s overall health. Even in situations where foraging is reliable additional feed choices and supplements can help reduce any gaps in food and nutrition. During the calving season calf birth and the additional milk production increases nutritional needs and you should increase the availability of feed supplements. Supplements are available in both block form and bagged, they contain various minerals needed for cattle health. Minerals provided include salt, phosphorus, calcium, and other needed trace minerals. Of note is magnesium which cattle can easily be deficient in and have the greatest need for during the calving season during the Spring. As magnesium is not pleasant in terms of taste it should be bought as a blend with other minerals to ensure consumption. Water directly correlates to food consumption in that the less water cattle intake the less they eat. A fresh and easily accessible water source should be available at all times to allow for free drinking as desired. Water availability should be carefully monitored during the warmer months and calving seasons as this increases water consumption. 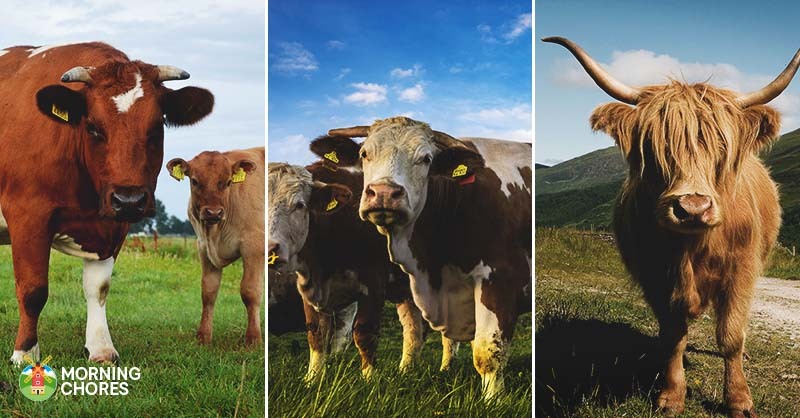 In general, cattle are divided into several different subcategories based on need and breed type. Dairy type cattle include several breeds with Holsteins being one of the most recognizable. Beef cattle are divided into Continental, British-type, and Exotics. Depending on the type of cattle you own and their intended purpose nutritional needs can be quite different so proper research is required to match them to a healthy diet. - The environment your cattle are in. - The type of cattle you have and their intended purpose. - The nature of feed in their diet as either a meal replacement or supplement. - Additional nutritional needs and how to best use supplements to meet these needs. - Assure water accessibility and that you have both a suitable amount and that it is clean. By taking these various factors under review you can design a dietary plan for your cattle that keeps them healthy and well fed.